Sony today announced the NEX-3N, the fourth iteration of the low-end NEX camera. Curiously, not a lot of details were announced with it, so my database page for the camera is still missing a few pieces. The NEX-3N is a bit smaller and significantly lighter than the previous models. The NEX-3N switches to the 16-50mm as the kit lens and now has a power zoom switch around the shutter release, ala many compact cameras. The video capabilities seem to have been simplified, though I can't get verification on that. The rear LCD is now downgraded to 460k dot. 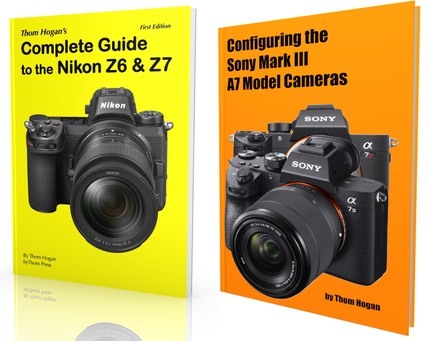 At about US$500 (I have to say about, as I didn't get a confirmed US price yet), it appears that Sony is taking the NEX-3 model a bit more downstream, trying to pick up those compact camera upgraders. The camera will ship in March. Which brings me to a comment: I don't understand the camera maker announcements any more. It seems that the "new normal" is to announce what seem to be unrelated products together. Sony, for example, announced the NEX-3N with the SLT-A58 DSLR, the 18-55mm, 70-400mm, and Zeiss 50mm f/1.4 DSLR lenses. But it appears that Sony has another "NEX" announcement scheduled for next month. Why not try to build a real NEX event to launch two cameras rather than to press-release announce one of them a month earlier? It seems to me that Sony would have had a very compelling story next month: "Sony announces that it is broadening the NEX lineup by making an even smaller, lighter version, plus a new higher-end, high-performance version." Instead, we get these non-related trickle announcements, and on a day when Sony themselves are making a different announcement in a different category that's likely to attract all the press: the new Playstation. Way to get one product lost in the wake of the news of another, Sony.